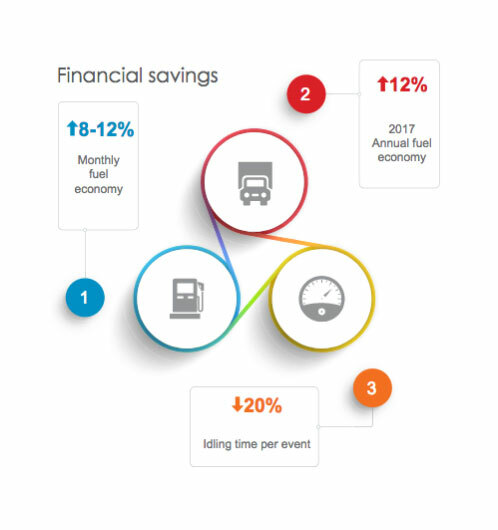 There was a noticeable, double-digit increase in monthly and annual fuel economy, and their commitment to safety was strengthened with the help of driver behavior monitoring. Archrock has been providing high-quality natural gas compression services across 20 states in the US, for over 60 years. In an effort to maintain their strong commitment to safety, Archrock implemented MiX Fleet Manager which helped to lessen or eliminate unsafe driving behaviors through RAG scoring and driver training. In addition, they raised cost-saving opportunities through the improvement of fuel economy and, enhanced compliance with ELD and other safety regulations. Archrock is the leading provider of natural gas compression providers in the United States. They boast the largest fleet of its kind with over 1,200 vehicles. In 2015 they set the goal of achieving zero incidents, zero accidents, zero injuries and zero environmental incidents. MiX Telematics was approached to help Archrock achieve their goals by monitoring and curbing unsafe driving behaviors. They were also enlisted to assist with increasing ELD and safety regulation compliance. Using the guidance of MiX experts, Archrock’s KPIs were determined and MiX Fleet Manager was implemented. This solution helped gather data and provide detailed weekly and monthly reports on RAG scores, excessive idling, savings opportunities and vehicle costs, amongst other things. The MiX Fleet Manager solution saw Archrock experience sustained safety, financial and compliance improvements on multiple levels.